For many years, GOGO has been a tour operator that was at the top of the list for travel agents. When, Australia based, Flight Centre, known for its retail division, took over GOGO not too long ago, the name was changed to GOGO Worldwide Vacations. Agents have expressed their concern about possible changes using GOGO, so we took those concerns to the President of GOGO, Michele Kish. TRO: Michele, what is your background? MK: I started as a travel agent. For 25 years, being on the retail side, moving up to sales manager and branch manager and now for the past 3 years, President of GOGO. TRO: Agents have expressed their concerns about offices closing and the long hold times on the phone. MK: Actually we have only closed one office, and consolidated some other offices. With some, sales teams of two offices are together in one. Yes, we’ve had some longer hold times, but that has been corrected. We just completed our new web site and computer platform. We listened to the concerns of our Travel Agent partners – they needed high technology. The look of the web site has not changed, but the functionality has. Certain tasks have changed, more enhancements. Now agents can book online, access their bookings, do online payments, and that has freed up our phone lines. Also we now have direct connectivity with more suppliers – instant access to availability. During the changeover to this new platform, the in house agents were experiencing problems too, but now everything is in place. Agents have to look at the big picture and understand that we’re in a growth mode. We’ve had an increase in new bookings. The snowstorms have helped! 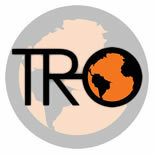 TRO: You’ve always had a strong presence in the Caribbean, Mexico, and Hawaii, but now you’re Worldwide. MK: Flight Center has a global presence and has given us more access. We have 5 res people working in the Worldwide division, with more possibly coming on. And within a few months, we’re opening up availability in South America. TRO: That will be great for pre and post cruise packages. MK: Yes, along with the ones we offer in Europe, and in the US. TRO: Speaking of cruises, you still offer Norwegian Cruise Lines? MK: Yes, we do sell NCL product. Agents have a choice on how to book, direct with NCL or call us. TRO: The biggest concern of agents – will GOGO go retail. MK: No, we will ONLY sell through travel agents. That’s been our policy. We want to continue to be the resource tool to help the agent close a sale. TRO: Let’s talk dollars – commissions and price matching. MK: We’ve just changed our commission payments policy. We now pay commission after the full payment, not when the clients depart. Agents can choose electronic payments to their bank accounts- and with no fees. We do price BEATING, not just price matching. If an agent finds a lower rate advertised with one of the online companies, we will beat it, plus the agent gets 10% commission. If the price beat is with another wholesaler, the agent’s commission is 12%. Our Price Beat program betters the price by $10 per adult and $5 per child. We’ve also gone to e-docs. We may be one of the first tour operators to do so. TRO: Let’s talk about training – your res agents as well as the travel agents. MK: In house, we have ongoing knowledge training and fam trips- twice a year. We’re starting our WorldWide Showcase for agents. It’s a full one day event with training seminars with vendor participants. Starting in Boston in April and then Atlantic City, and 6 to 12 other locations. We’ll also offer more fam trips, a stronger presence at shows, and we’re trying to reach out to the home based agents. Agents can work with their local BDMs for training as well. Besides the e-mail blast – the Deal of the Day – we have the On The Go Guide. It’s available monthly and showcases packages. Agents can purchase it for marketing. TRO: What has been your favorite trip? MK: Santorini, I’ve been there a couple of times and want to go back. TRO: And on your bucket list- especially since you are now Worldwide? MK: The French or Italian Riviera. Unfortunate that neither the interviewer or the subject addressed all the issues that we have been having with functionality of the website. I don’t know, but seems to me that the “biggest” concern is NOT whether they will sell to the public (from reading forums, that hardly comes up at all) but rather whether they will ever get the website usable after almost three years of “development”! In conversations with Michele and 2 others at GOGO- I asked questions pertaining to many of the comments – website, long hold time, and yes, going retail. The latter question was due to Liberty Travel and knowing that Flight Center was going to expand its retail market in shopping centers. Since Flight Center owns GOGO, it was a logical assumption that perhaps GOGO was going direct. In the conversations with GOGO, they insisted that the problems with the previous website and long hold times has been corrected within the last month. Some of the complaints on the website were older than that. When I complained about the still long hold times with their Worldwide division, and gave them the exact info, they were going to look into it. I personally have called the office I choose to deal with, and as of last week, I had no long hold time. A big improvement over the past few months. I was told that even the res agents were having problems with the change over to the new system, but it was being worked out, day by day. In previous articles and Thumbs Up Thumbs Down, I have been harsh with my criticism of GOGO in the last year. And each complaint I submitted was responded to. I mentioned that some product was not listed on their websites- I was told that more is being added daily. I did mention the complaints listed on blogs, and I know they are looking at them right now and will get back to me with comments. follow up will be reported. With all the complaints posted, their bookings have increased the first quarter of 2010 (per their reports). I would appreciate if you could you please contact me at my email address as soon as possible. I would like to discuss Go Go Worldwide Vacations with you at your earliest convenience. We posted on your blog 7 days ago a request to discuss with you some astounding negative experiences we have had with Go Go Worldwide’s Ramsey, NJ office. We would greatly appreciate if you have a moment. It’s been too long. How are you, Samantha and your husband as well as your family doing? We called Nancy Black last year to handle our reservations for the Dominican and loved the Majestic Colonial but we got sick (me for a week) and many others on the trip. The property was gorgeous and you don’t’ know me to complain (we are still soooooo appreciative for your last minute trip to Italy it was one of our favorite trips). I had to let you know and just wanted to see how you are…I am so proud of all of your accomplishments. I still miss my uncle a lot, his anniversary was 7/17. I pray all is well with your parents. I saw Lynette for dinner at Elaine and Robs home. Michele, please keep in touch.